Nvidia gpus and motorola arm socs fabbed by intel in the usa. Whooda thunk it? Intel is generally one gen ahead in chip size, so those who contract with them will have a power performance advantage. Gpus, for example, could see a sudden jump in speed. Phones could get improved battery life. You know that things are bad at intel if they can't use all their fab capacity. In a story posted today on Forbes, Altera has announced that they have entered into a partnership with Intel to have their next generations 64-bit ARM chips produced at Intel’s fabs. Details on precisely what process technology will be used on the upcoming chips are scant, but 22nm would give anyone willing to pay Intel’s price a leg up on the competition, and of course Intel will be moving to 14nm in the future. Really, this announcement would be interesting even if someone were to merely use Intel’s older 32nm fabs. The key there is the part about being “selective”, but I would guess it’s more a question of whether a company has the volume as well as the money to pay Intel, rather than whether or not Intel would be willing to work with them. This announcement opens the doors for future opportunities – NVIDIA GPUs on Intel silicon would surely be interesting, but given that AMD has gone fabless as well we could also see their future CPUs/GPUs fabbed by Intel. If we take things back another step, the reality of the semiconductor business is that fabs are expensive to build and maintain. Then they need to be updated every couple of years to the latest technology, or at least new fabs need to be built to stay competitive. If you can’t run your fabs more or less at capacity, you start to fall behind on all fronts. If Intel can more than utilize all of their fabrication assets, it’s a different story, but that era appears to be coming to a close. The reason for this is pretty simple. We’re seeing a major plateau in terms of the computing performance most people need on a regular basis these days. Give me an SSD and I am perfectly fine running most of my everyday tasks on an old Core 2 Duo or Core 2 Quad. The difference between Bloomfield, Sandy Bridge, Ivy Bridge, and Haswell processors is likewise shrinking each generation – my i7-965X that I’m typing this on continues to run very well, thank you very much! If people and businesses aren’t upgrading as frequently, then you need to find other ways to keep your fabs busy, and selling production to other companies is the low hanging fruit. 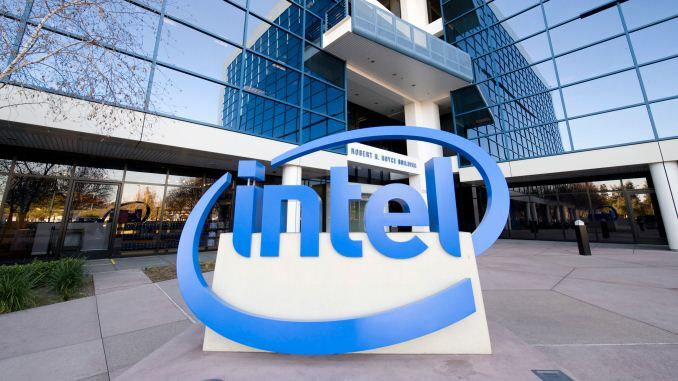 Regardless of the reasons behind the move, this marks a new era in Intel fabrication history. It will be interesting to see what other chips end up being fabbed at Intel over the next year or two.